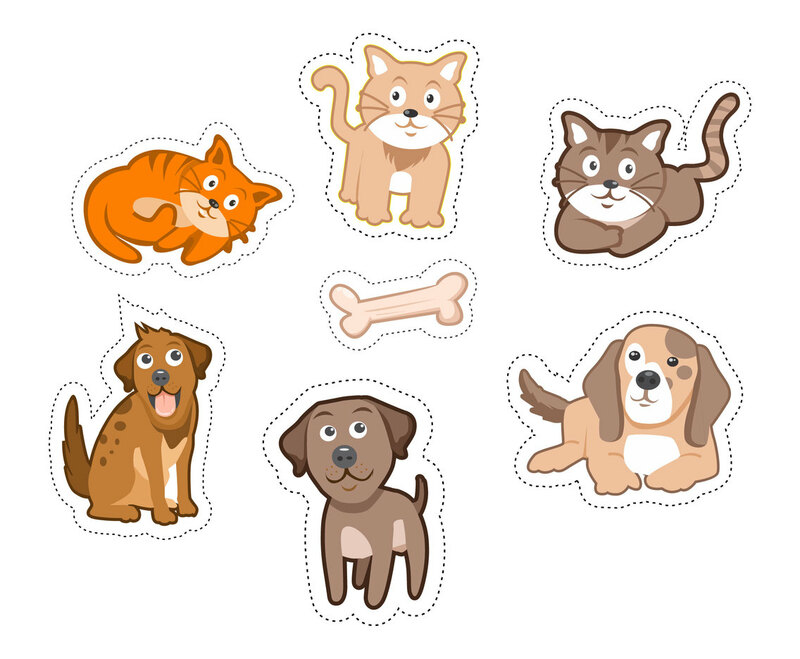 Cute vector illustration of isolated kittens and puppies with a bone. Each of the illustration has sticker effect with dashed outlines. Can be great to be printed on sticker paper for kid's accessories and stuffs.